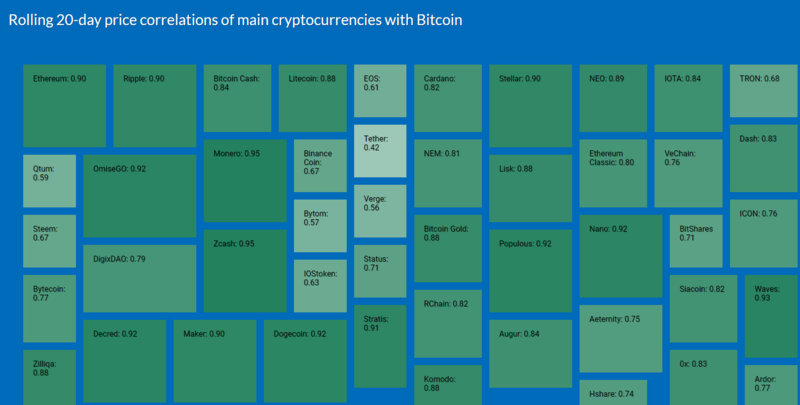 In 2017 the cryptocurrencies had emerged as a new asset class with full force, never before has an entirely new asset class been established in such a short period of time. 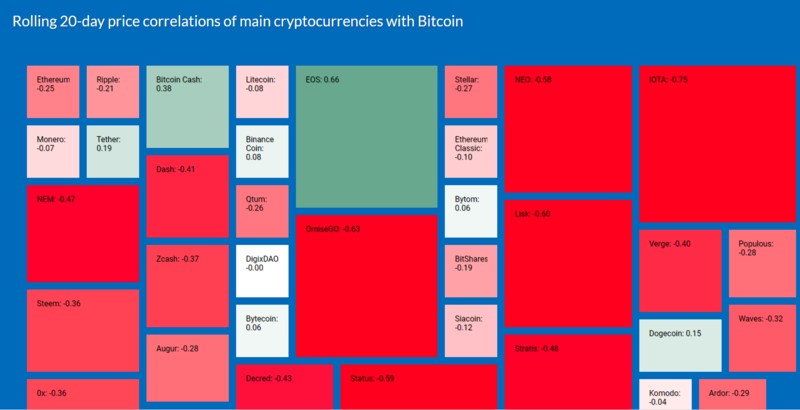 The year 2017 was also peculiar in that the individual cryptocurrencies were still very much different from each other in terms of relative returns or performance. 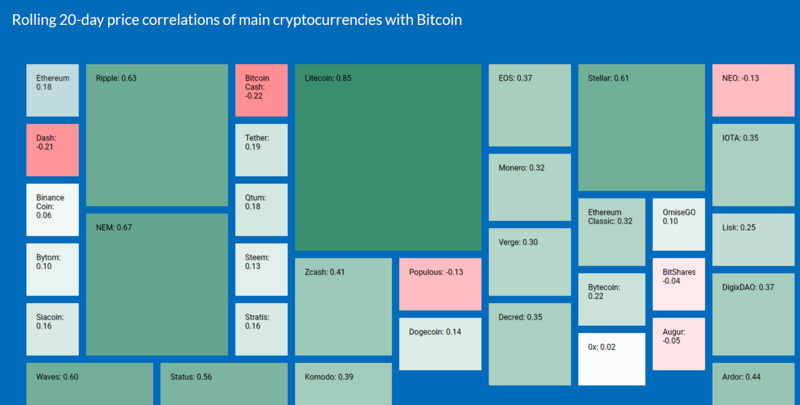 There were some huge winners, also some losers and they were all correlated to Bitcoin to greater or lesser degree but the correlations were still lower than what is typical in other classes, for example stocks. As you can see there was a drastic change in correlations both in magnitude as well as in persistence in month of January. 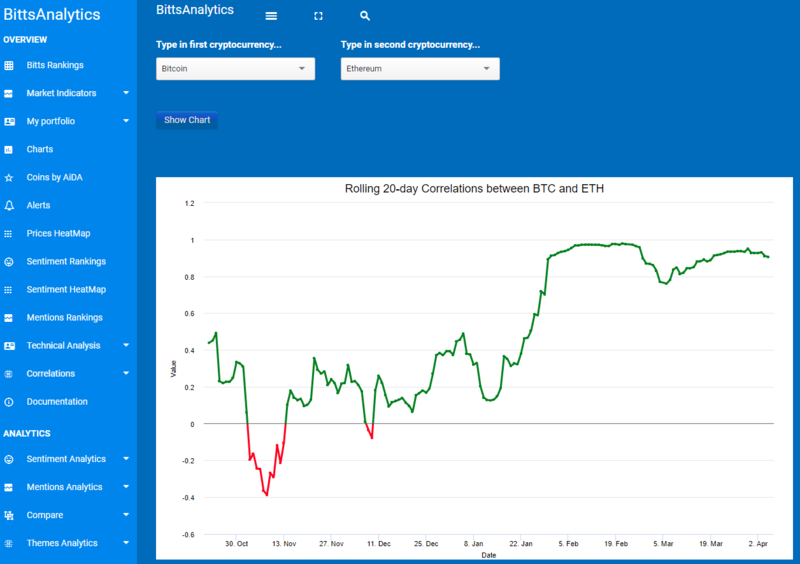 While the chart is shown for Ethereum other cryptocurrencies display almost the same evolution. While we would not like to speculate about the possible causes for this phenomenon one explanation could be emergence of new large financial players who employ arbitrage or some other classes of quant strategies. So how does one adapt to these new times? Well, the bar has certainly been raised and simple approaches will work less well in achieving superior relative returns. But as we have shown in many blog posts in last months and that you can read by yourself, there are still possibilities for substantial performance but it requires better data and more sophisticated tools. One of the reasons we built our platform BittsAnalytics (learn more about it at www.bittsanalytics.com) was just to prepare for these kind of times. It was inevitable that they would eventually come. Perhaps it was just surprising how long it took for that happen.